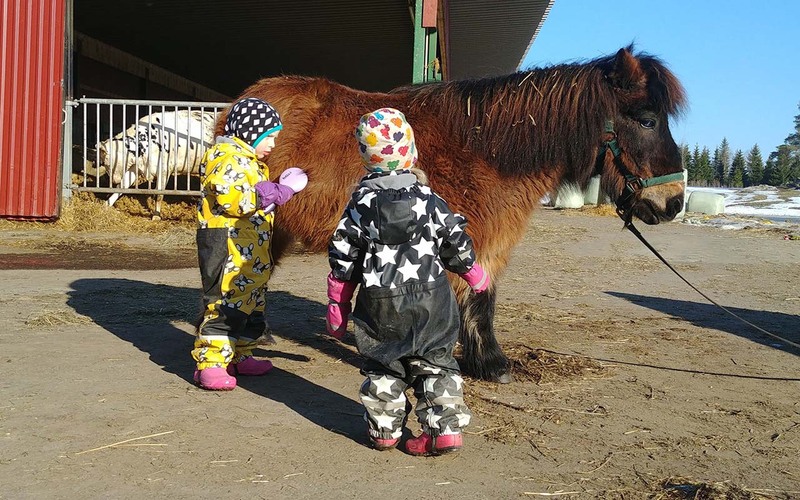 On Hiidenniemi animal farm children can get to know the pony by pony riding and care. 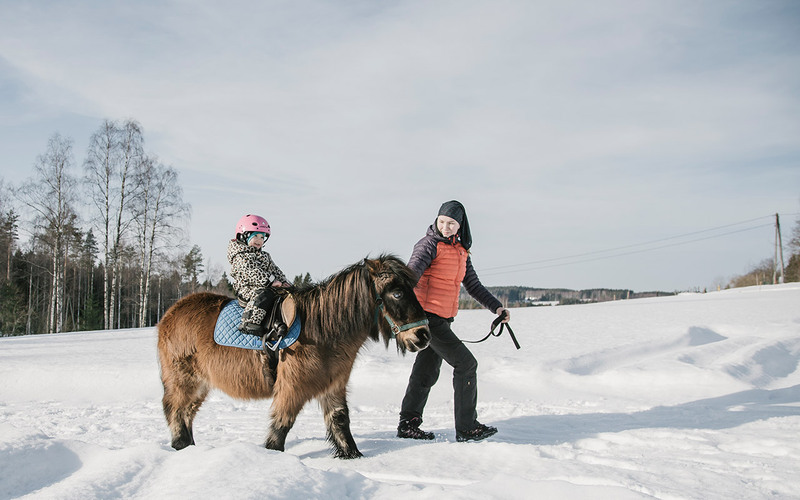 Riding is an enjoyable experience for many kids and before the riding kids can also brush and take care of the pony. 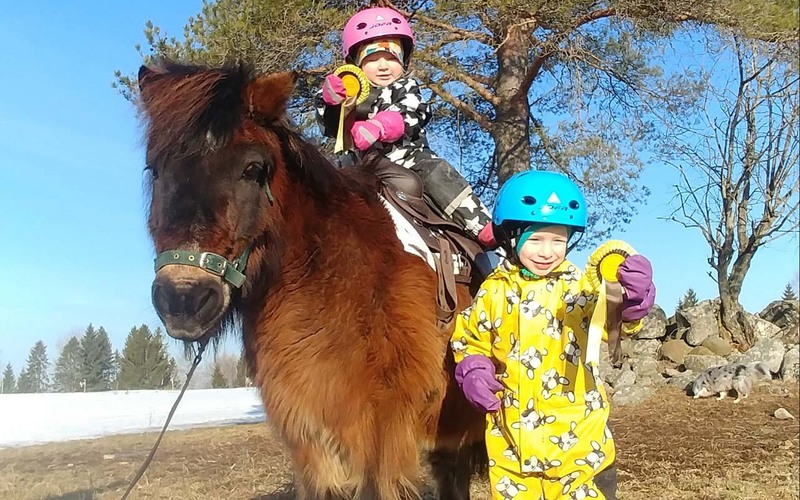 Shetland pony Ali and pony rides are part of Hiidenniemi animal Farms activities and are one of the most popular. 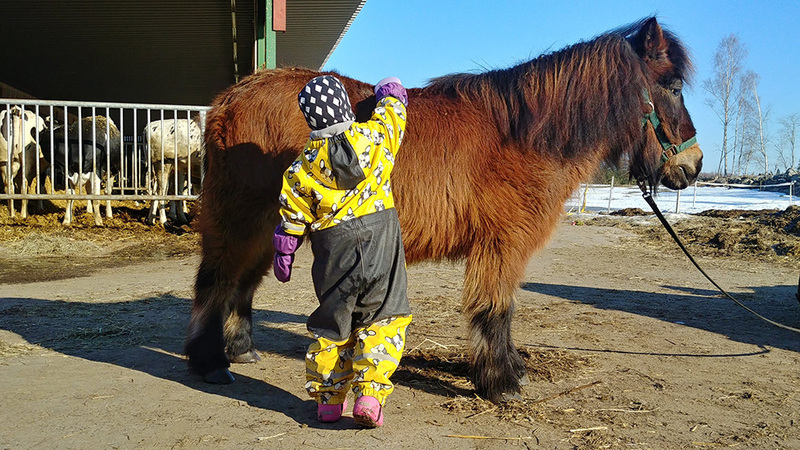 Children can get to know the pony, take care of it and saddle it before riding. 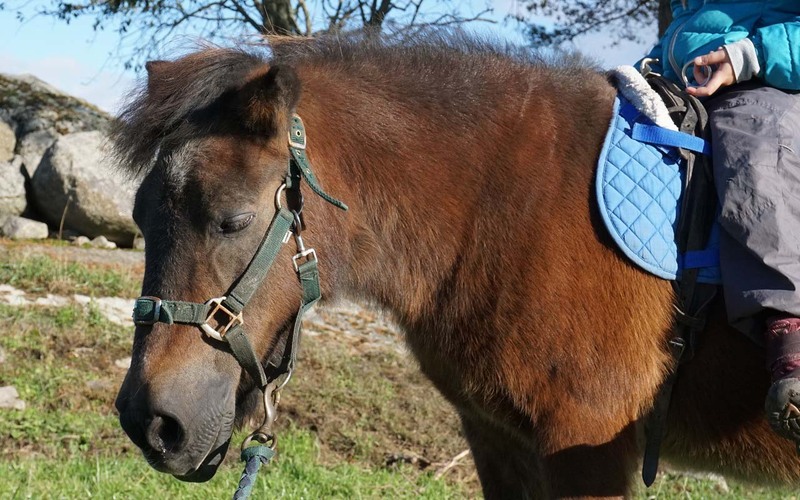 This is a pleasant experience for many and a good way to get to know the pony, after which the riding is also more natural. Ali pony is nice and steady to ride. Before riding, everyone in the group can brush Ali and make it ready for riding. 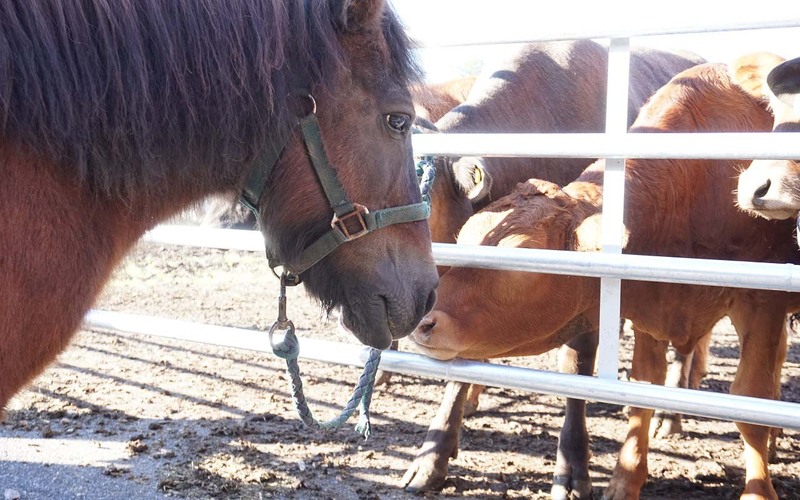 Together, we learn to put the saddle and bridle for Ali and check that the hooves are clean. After riding, Ali can be feed and take pictures of it. Children will also get a rosette which is a certificate for caring the pony in the right way. For this activity, kids should wear good shoes that stay on the feet also during the riding. 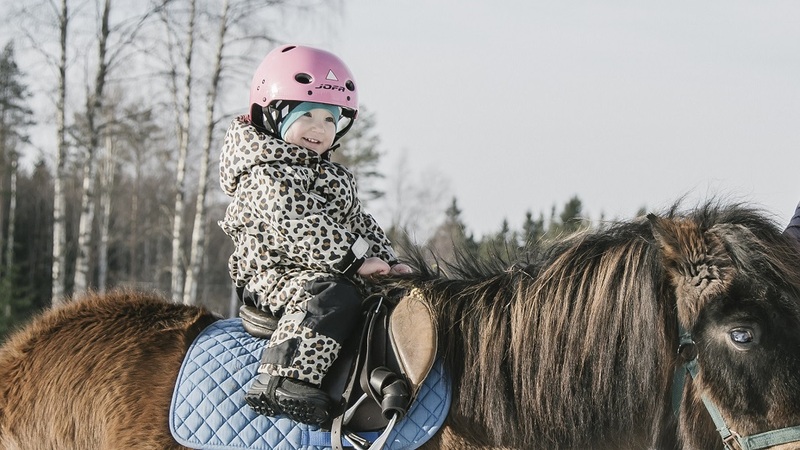 You can borrow a riding helmet at Hiidenniemi animal farm. 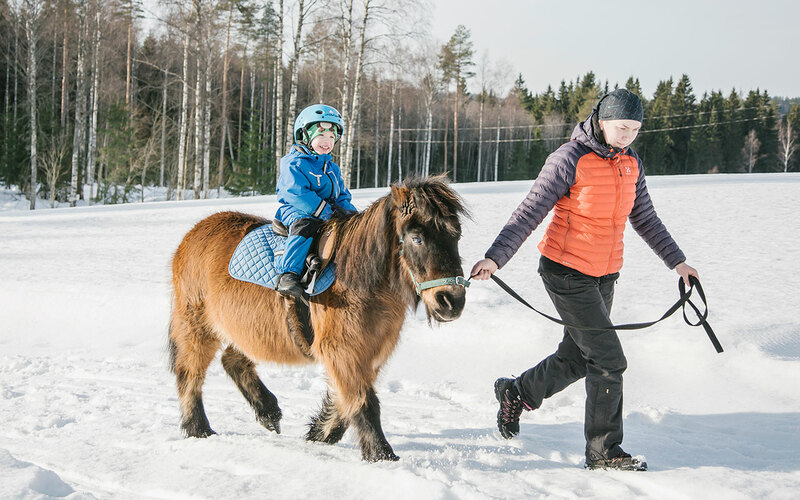 Pony riding and care thereafter will last a total of 1.5h when the group has 4 children. The activity is suitable for children aged 6 to 12 years, younger children can participate together with the parent or adult involved. This activity can be booked on Tuesdays and Fridays between 11-13 and 14-16. Other days and times, please contact us by phone +358 40 843 0555 or email merja.hiidenniemi@gmail.com. Group size is 1-4 people, total price for 3-4 participants € 100, and price for 1-2 participants is € 50. For the group activity, ask for an offer and availability of the ride separately by calling +358 50 566 0905 or by email sales@rockandlake.com. Any questions? Send us a message.